Eliseev S.V., Artyunin A.I., Bolshakov R.S. New approaches in formation of mathematical models of mechanical oscillation systems are considered. Is shown that general mathematical model in form of structural scheme of the equivalent in dynamical ratio of automatically control system. Models transformation permits to open for analysis dynamical interactions features between partial systems and type elemental part. Transformation structural schemes algorithms are offered which allow to secure calculation of lever ties which has rotation center in plane motion. And is shown that protection object is separated in oscillation system, remaining part of system can be curtailed in some structural “compact” which has features of generalized spring or dynamical elasticity. Keywords: lever ties in dynamical systems, structural interpretations of mechanical systems, generalized tasks of vibroprotection and vibroisolation. Eliseev S.V., Khomenko A.P., Upir R.Y. Lever communication problems vibratory effects on machinery and equipment // Modern technologies. Systems analysis. Modeling. – Irkutsk: IrGUPS, 2009, № 3 (23). – P. 104-119. Eliseev S.V., Khomenko A.P., Upir R.Y. Mechatronics vibroprotection systems with lever connections // Modern technologies. Systems analysis. Modelling, 2009, № 3 (23). – P. 104-119. Eliseev S.V., Belokobylsky S.V., Upir R.Y., Gozbenko V.E. Communication linkages in the dynamics of the mechanical vibration systems. Theoretical Aspects // Dep. in VINITI 27.11.09 № 737 in 2009 – Irkutsk: IrkutskStateUniversity of ways communication, 2009. – 159 p.
Druzhinsky I.A. Mechanical chain – M: Mashinostroenie, 1977. – 234 p.
Eliseev S.V., Resnick Y.N., Khomenko A.P, Zasyadko A.A. 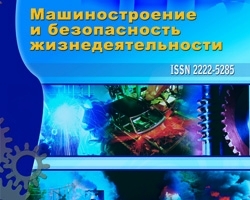 Dynamic synthesis of generalized problems in vibration protection and vibration control engineering objects – Irkutsk: Publishing House IrGUPS, 2008. – 523 p.
Eliseev S.V., Resnick Y.N., Khomenko A.P. Mechatronic approach in the dynamics of mechanical vibrating systems. – Novosibirsk: Nauka, 2010. – 394 p.
Eliseev S.V., Ermoshenko Y.V., Bolshakov R.S. Coordinate communication between the theory of vibration protection // techomag.edu.ru: Education & Science: e-science and technology edition, 2011, № 4. http://technomag.edu.ru/doc/177357.html.